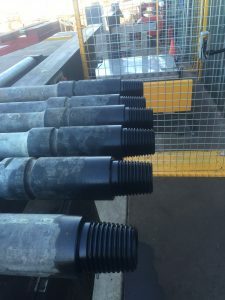 Manganese Phosphate Anti-Gall Treatment is a critical process that should be mandatory on all re-machined and new Rotary Shouldered Connections. 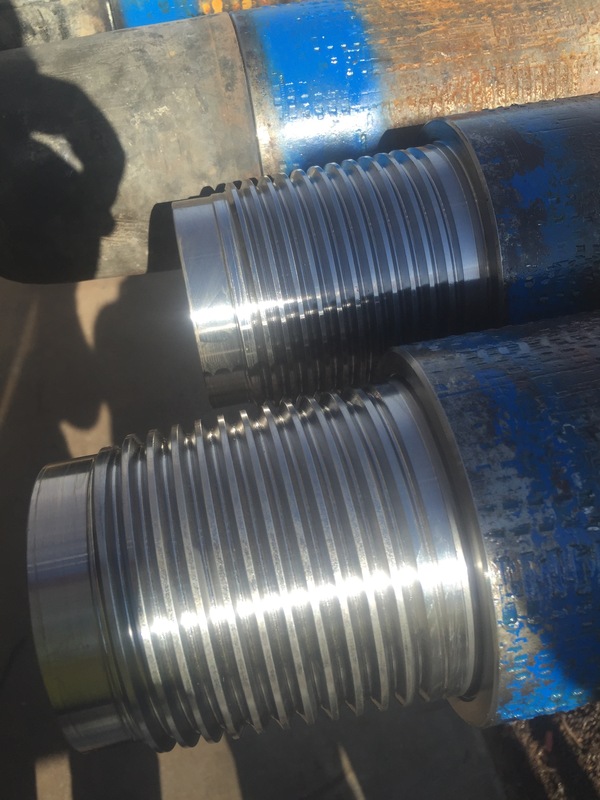 You can have your connections repaired and re-machined by the best oilfield machine shops with the best equipment and personnel available, but if they don’t phosphate the connection, then you have just wasted your money not to mention ruining your drill string and potentially causing major downhole problems. Galling and incorrect make-up torque, are the two most common causes of drill string failure. Galling occurs when two metal surfaces make contact under high load without a sufficient lubrication barrier between them. Tapered threads, such as Rotary Shouldered Connections are especially prone to galling due to the high loads applied on makeup and whilst the connection is in service. Below are some commonly asked questions and explanations of how to prevent galling of Rotary Connections on expensive drilling tools and equipment. How does Manganese Phosphate work? 1. The phosphate coating acts as a barrier and physically separates the metal surfaces during initial make-up. 2. The phosphate process etches microscopic pours in the metal surface which retain the thread dope to provide lubrication between the metal surfaces when high torque loads are applied. How is Manganese Phosphate applied? The Manganese Phosphate solution is heated in a special tank to a specified temperature and the newly machined connection is immersed in the solution for a specified period of time. The chemical solution in the tank is tested daily to ensure the correct chemical concentration and test coupons are periodically phosphated and weighed to ensure the correct amount of phosphate is being deposited on the surface of the connection. What does a Phosphated Connection look like? A Rotary Connection that has been phosphate treated is dark grey in appearance and has a matte finish as opposed to a newly machined connection which is bright and shiny in appearance. These connections are not phosphated: they are bright and shiny in appearance. These connections are phosphated: they are darker and have a matte finish. According to API, is the Anti–Gall Phosphate Treatment of re-worked or new Rotary Shouldered Connections mandatory? Yes, API Spec 7-1 states that a gall resistant treatment of Zinc or Manganese Phosphate shall be applied to the threads and sealing surfaces of all re-machined and new connections. Alternative coating processes such as copper sulphate will not meet with API requirements or perform as well on Rotary Shouldered Connections. What will happen if a Rotary Shouldered Connection is not phosphate treated? 1. On initial make-up, the sealing shoulders and thread surfaces of the connection will gall and therefore affect its ability to maintain a shoulder seal and correct torque. This will ultimately lead to a failure of the connection. 2. A galled thread will also damage the threaded connection that it is mating to. In the case of a damaged saver sub connection, there is a good chance that it will damage every connection in the drill string if left unattended.